It was believed that Hopi Ear Candling was first introduced to the West by the Native American Hopi Indian Tribe who were renowned for their extensive knowledge of healing. 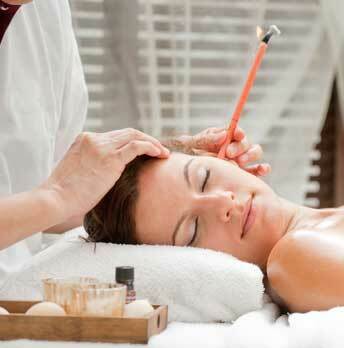 The use of Hopi Ear Candling can be traced back to the ancient Egyptians, Greeks and Romans. Translated Hopi means “peaceful ones”. Years ago, people made there own candles, often from rolled up paper, tobacco leaves, pottery and glass, impregnated or dipped with beeswax and honey. Fortunately today we are able to use Hopi Ear Candles, certified safe and medically licensed. The candle acts like a chimney, a gentle suction action and the movement of the flame creates a vibration of air generating a massage-like effect on the eardrum, which in turn loosens debris from the ear. The mild heat stimulates the blood and lymph circulation, boosting the immune system. It has a knock on effect to the middle and inner ear and starts drainage and regulation of the pressure to the sinuses. Burning a candle in one ear and then the other. It is a safe procedure; filters prevent candle wax from entering the ear canal. The candles are only burned down to the marked safety line. During the candle burning, you may feel warmth, hear a faint crackling sound and sometimes may temporarily feel the ear blocked. A facial sinus drainage massage, and a glass of water to sip (the effect that swallowing has on the Eustachian tube is rebalancing the pressure), completes the therapy. The candle remains will be opened and analysed. Excellent treatment before and after for people who fly or dive.